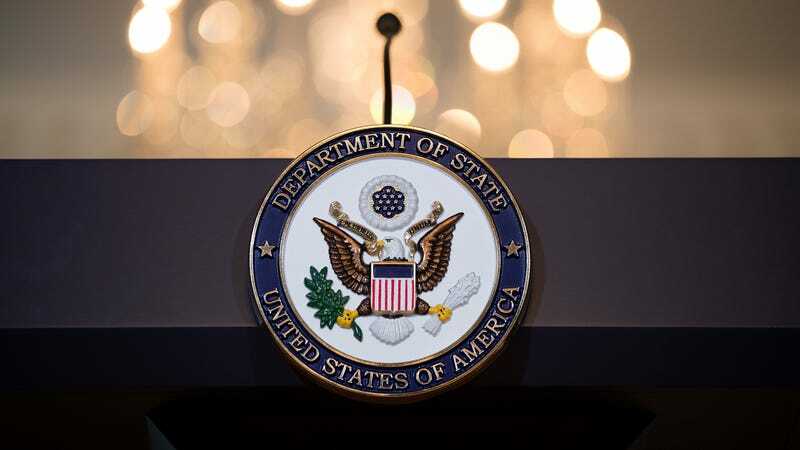 The US State Department evacuated at least two diplomats in China following a mysterious illness experienced after hearing strange noises—the latest in a series of unexplained sicknesses that have hit American diplomats and their family members in recent years. According to the New York Times, the State Department has flown in a medical team to test employees at the American consulate in the Chinese city of Guangzhou to see if any others are suffering from the illness. Officials reportedly expect more people will be evacuated in coming days. The strange cases of sickness, usually involving victims who say they have heard odd sounds, have been plaguing American diplomats since at least 2016. The issue first stuck American officials in Cuba, where employees working in the American Embassy located in Havana reported strange, disturbing noises. Those who hear the unexplained sounds started getting sick, experiencing symptoms the State Department described to the Times as being similar to those “following a concussion of minor traumatic brain injury.” Those hit by the sounds said they were stricken by headaches, nausea, hearing loss, cognitive issues, and other symptoms. Earlier this year, the issue spread beyond Cuba and started affecting Americans in China. The first case was identified just a few weeks ago when one unnamed worker reported experiencing “abnormal, sensations of sound and pressure.” An embassy spokesperson described the symptoms as being similar to a “mild traumatic brain injury.” The incident prompted the State Department to issue a health warning for US citizens in China. The reports of sounds linked to the resulting symptoms are bizarre enough, but making the situation all the more troubling is the fact that no one seems to have any reasonable explanation as to why this keeps happening. The fact that it has now hit Americans in two different countries has renewed concerns that it could be some kind of sonic attack. A report from the Associated Press suggested the incidents in Cuba were a targeted occurrence, caused by the use of “an advanced sonic weapon that operated outside the range of audible sound” placed in the homes of diplomats and in hotels where they were staying. Experts have expressed doubt that ultrasound (high frequency) or infrasound (low frequency) could be weaponized to carry out such an attack, and there has been no evidence of a sonic device thus far. Another theory suggests the illness could be the result of surveillance devices being placed too closely together. Researchers at the University of Michigan found that ultrasound-producing spy gear can interfere with similar devices and produce an audible sound similar to what American diplomats reported hearing. That would remove any malicious intent from the equation and would instead chalk the incidents up to incompetence. Whatever the cause, the situation has become incredibly frustrating for the State Department and its employees operating overseas. The strange sonic occurrences have disrupted operations in the affected consulates and resulted in the US pulling its diplomatic staff from Cuba, icing relations between the countries. With the Trump administration already on the brink of a trade war with China and ongoing negotiations with North Korea hinging in part on China’s participation, the two nations don’t have a lot of time to deal with new disputes.